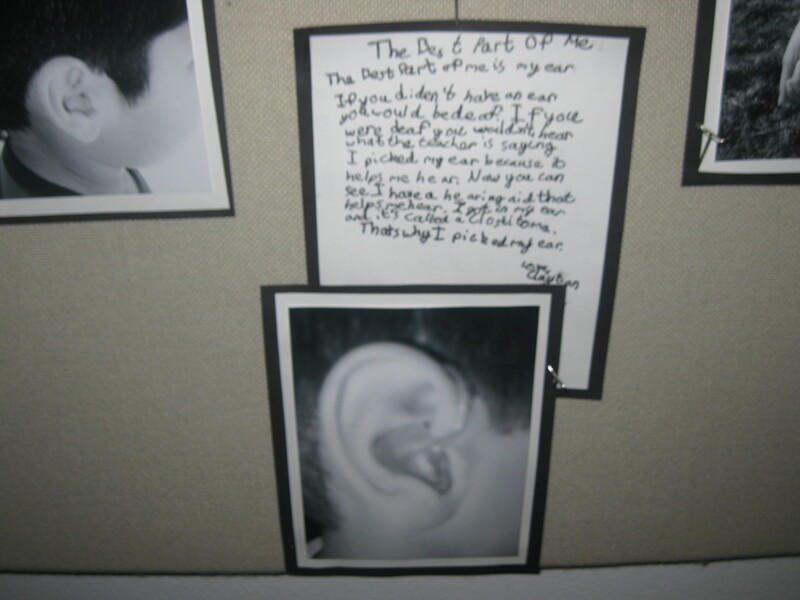 The Best Part of Me is My Ear! During a trip to Sacramento, CA I visited the Capitol building and as I walked through the hallway I noticed artwork by students ranging from elementary to high school. One artwork category I noticed is “The Best Part of Me”. 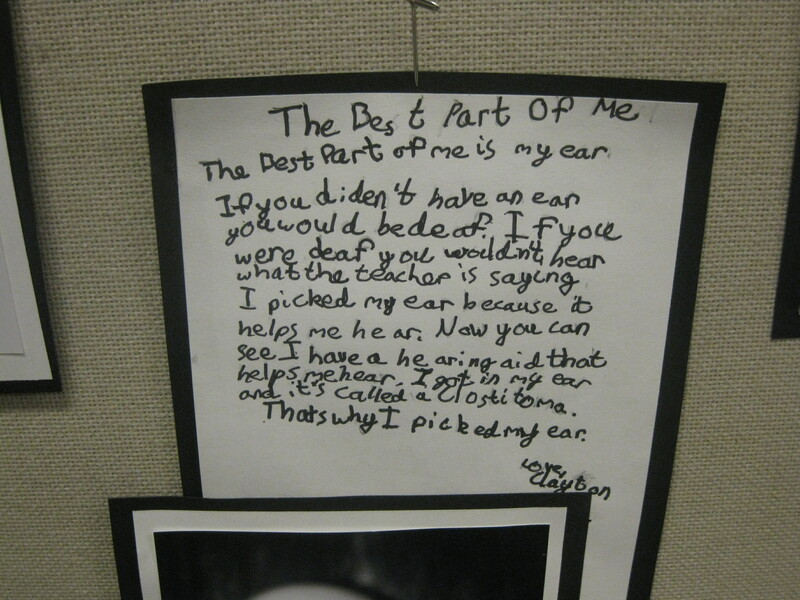 Students shared how they thought their hair, eyes or smile was the best part of them however; one student in particular said his ear was the best part of him because it allowed him to hear. Sometimes I think our world focuses so much on deaf vs.hearing, culturally deaf vs. medically deaf, signing vs. oral but the important thing is being proud of who you are. This artwork posting reminded me of what is important..just being yourself. I am happy this little guy is proud of his hearing and his hearing aid. If he ever read this I would say kudos for sharing this with everyone and being proud of yourself and know that you are wonderfully made!